Welcome, 2018, the Year of Comeuppance and Recovery! The Year of Chastisement. I spent a lot of my time in 2017 reacting to a fool. Couldn't stop ogling him. No more of that. 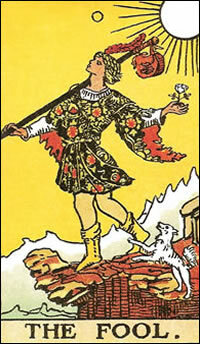 The fool goes, but we no longer go with him. We're headed in a different direction -- reclaiming the right to hope for something better, while also, incidentally, seeking retribution, redress, recoupment from the damage already done to our Republic. We need standard-bearers, people with a progressive vision and guts. You can't win elections without good candidates. And observe-- good candidates, we're getting them! Brand new faces like never before (at least never in our immediate experience). Candidates of substance, of good sense, of strong fiber -- new to politics often and independent of thought. They've vowed that democracy is too precious to abandon to self-interested greed-hogs, so instead of just griping, they've decided what they stand for -- fairness, justice, truth, honesty -- qualities not associated with the president nor his party -- and all up and down the ballot, they're signing up to campaign for our votes. "From Protest to Progress" -- slogan adopted by the Forsyth County Democratic Party, and a good one. Let's hang that like a banner athwart the continuing news of the fool. And do more than merely hope. Work the elections. Volunteer where you can. Give money where you can't. Meanwhile, what does the fool say? "I’ve just had the most successful first year any president has ever had in American history.” He really said that. In the illustration above, that's a giant wave on the fool's horizon.